Do you want to use your God-given gifts and abilities to make a positive impact in people’s lives? We’ve got plenty of opportunities for you to do that. Our mission team recently returned from a week in Puerto Rico helping with hurricane relief efforts. Our youth are regularly involved in mission trips in- and out-of-state. We take special collections of supplies and funding as needs arise all around our nation and the globe. Our church cares about reaching beyond our walls and our borders as the loving hands of Jesus. You are welcome to be a part of that. We love our community and are always looking for creative ways to reach our neighbors with the love of Jesus. You can walk the streets with our Prayer Walk team or tend our community garden. You can help out with our annual events like Vacation Bible School, Trunk or Treat, Kid’s Night Out, and our Christmas Stocking Party which provide fun, fellowship and help to hundreds in Glassboro. There are tons of opportunities and new ones are popping up all the time. There’s always room for you. 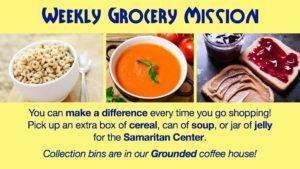 You can make a difference right here at First UMC. Greet people on Sunday mornings, lead a Sunday School class, serve during worship, help with our audio, video, and social media teams, join our hospitality or care team, sing in the choir, knit a prayer shawl, or find another way to serve that fits your interests and schedule. Do you have a passion for worship? Our Worship Committee is looking for a few creative people to join our team of planners and doers in developing worship experiences for our congregation and the community. Contact Sarah Mickle or Pastor John. Our brand new Mission and Outreach Team is looking for compassionate and driven people to create service opportunities in and beyond our community. If you want to help our congregation share the love of Jesus in hands-on ways, contact Pastor John or the church office (856.881.3295).